Here are our most favorite apartment rental tips. Rentals, it is future. Not one of my kids or their friends stayed in the dorms beyond their freshman year. The choices are plentiful. Below are some of the more popular apartment complexes students live in near FSU. Some provide buses to campus (which can be important since parking on campus can be a nightmare), some have facilities that rival a fancy hotel (pools, hot tubs, volleyball courts, lounges), some provide reserved parking spots for a fee, some are gated and provide constant security, and all have various options from studios to 4 (even 6) bedrooms. Prices vary and generally go up slightly each year. 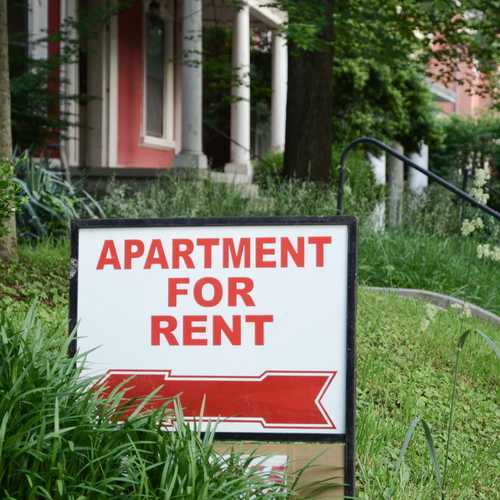 The rent for many complexes depends on how early in the year you sign a lease. Most will also help find a student to fill a vacant room if need be. Wi-Fi is generally included in rent, but utilities are not always included or provided up to a specific amount with the overage charged to each occupant. Be sure to check all these things before making a decision. We tried to stick with the important things like security and furniture, rather than tanning beds and lit volleyball courts if you know what we mean, but some of the amenities are pretty impressive. Generally the further you get from campus the less expensive the rents are. Of course, in my daughter’s case, she made up for that in parking tickets, which is why when my son moved off campus he chose Catalyst, so he rarely needed his car. Location and security were amongst our top priorities. One of the biggest hot buttons for parents is when to sign. Some apartments that have vacancies will offer a reduced rent, often lower than what students who renewed early are paying. Some apartments are offering price adjustments; others will tell you it is solely for remnant space meaning more single rooms available. When to sign is a matter of supply and demand. Some of the more sought after apartments may only have single or double spaces available so if your student is looking to live with three other friends, it may not be possible to sign at the apartment of their choice. U Club, Stadium Centre and 601 Copeland are all run by American Campus Communities and offer up to 5 bedroom apartments or townhouses (for approximately $800 and up a month now). Pet-friendly. Hayden Commons and Villa St. Augustine (owned by Leparulo Properties) – is the ideal townhouse or apartment for a student who wants to be walking distance to the stadium, which is quite nice on game days. Stadium Enclave – steps away from Florida State’s Campus with direct access to the Stadium. 1, 2 and 4 bedroom plans. Stadium Centre – The Edge. Owned by American Campus. Located in CollegeTown next to Vale, they offer 1, 2, 3, 4 and 5 bedroom apartments. Parking garage attached. Catalyst on W. Madison offers about the same as the others, fully furnished and up to 4 bedroom apartments. The location is also great. Domain – Located behind Degraff dorms so it is a short walk to campus. Known for having the biggest apartment pool in Tally. It is around $750 for a 3/3, but they have other sizes. Places on Conradi (Dean Properties) are literally 100 yards from campus. Rent is approximately $850 per bedroom for a 6 bedroom/6.5 bath townhouse. College Place Apartments on Lorene Street is where a lot of ATO’s lived at this complex because it was on the same street as their fraternity house. Very close to campus. Max is a 3/3 and is presently listed at approximately $700 a month. Most of these apartments come furnished and are gated communities. These are, however, just some of the more popular off-campus complexes FSU students seem to flock to. There are many more. Onyx – Located right across from Potbellys which can be loud on Thursday nights due to Purgatory. Steps from campus and has rates as low as $689 if you’re willing to live in a 4 bedroom, 2 bath –however there are many different floor plans for 1, 2, 3, or 4 bedrooms. Highlands – One of the newer built townhomes, but a further distance from campus. Reasonably priced starting at $625 and they even offer an option for 5 bedrooms. There are a community pool and a gym. Players Club Apartments – Brand new and just opened next to Publix and Woodlands. Floor plans start around $700. They have a hot tub, sauna, gym, pet washing station, a fire pit, splash-down volleyball, yoga room, and study rooms. The Standard – This is the newest luxury style of living, and probably most talked about, located a few minutes walk or bike ride from campus on Virginia Street. They have a lot of floor plans from 1 to 6 bedrooms. Amenities include an arcade/game room, lounge, computer lab, rooftop pool, and a fitness center. Apartments are furnished and include wifi, cable, pest control, some utilities but parking is not included. They do have a garage and charge per spot. The 9 Tallahassee– one of the newest properties to go right next to campus. They are offering pre-lease spots. 2 – 6 bedroom options. Urban Enclave – 903 Mosley St. Tallahassee, FL 32310. This is located in Collegetown. Fully-furnished one, two, and four-bedroom apartments with private bathrooms, balconies, and walk-in closets. Will have a neighborhood park, fire pits, gym, study rooms pool, outdoor grilling, all the amenities. Opening Fall 2019. Check out MyRentHero for other apartment suggestions.